The Incas believed that the god Viracocha created the earth, stars, and all living things.They believed that he created the moon and the sun by plucking them from an island in Lake Titicaca. Inti, the god of sun was another important god. Officially, the Inca ruler or Sapa Inca was the “Son of the Sun,” a direct descendent of the sun god, and when he died he returned to the sun. The largest Inca religious event each year was the multi-day Inti Raymi festival. During the Inti Raymi festival (which is still held today)all the people of Cuzco lined up according to their tribe or lineage. Dressed in their finest clothes they passed the days giving thanks to their creator, and they feasted on food that had been provided by the sapa inca and local priests. The next god in importance was Illapa. He was the god of rain, thunder, lightning, and war. Other gods were also important and primarily connected to nature. Mama Quilla was the moon god and sister-wife to Inti. The Incans believed that she shed tears of silver, and during lunar eclipses she was believed to have been swallowed up by a puma. The Incas pounded their drums and blew horns so that they could stop the eclipse. 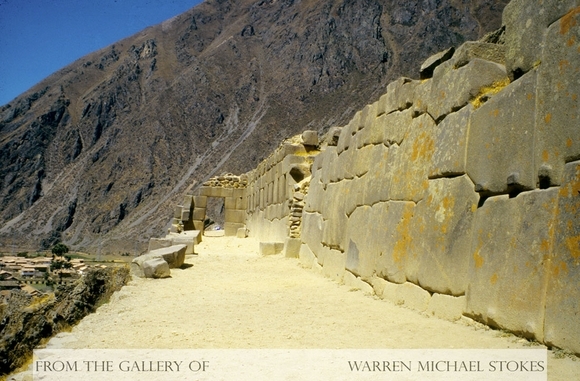 The main shrine in Cuzco was called the Coricancha. The interior of the Coricancha was decorated in silver and gold. The Coricancha temple complex contained six buildings which were set aside for the worship of the six main gods. In addition, the Incas also worshiped their gods in spiritual places called huacas. Huacas could be caves, springs, oddly shaped rocks, and man-made shrines. Battlegrounds and cemeteries were also considered huacas. The head priest or pope of the Inca religion was called the uma uillaca. Under the uma uillacas were the administrative priests called hatun uillcas. Local priests were called yana uillacas. The priests would teach the locals about the gods, hear confessions, and give penance for their sins. Regional administrators selected the most beautiful women to serve the Inca religion. These women were called acllas. They were chosen by the age of ten and could not refuse service. The young girls studied to become either a priestess or the secondary wife of a noble. Some were eventually sacrificed, although human sacrifice was rare and only occurred when the sacrificing of animals did not appear to be sufficient. Animals were sacrificed daily. Brown llamas were sacrificed for the god Viracocha, and white colored animals were sacrificed for the sun god Inti. Spotted animals or creatures were sacrificed for the god Illapa.